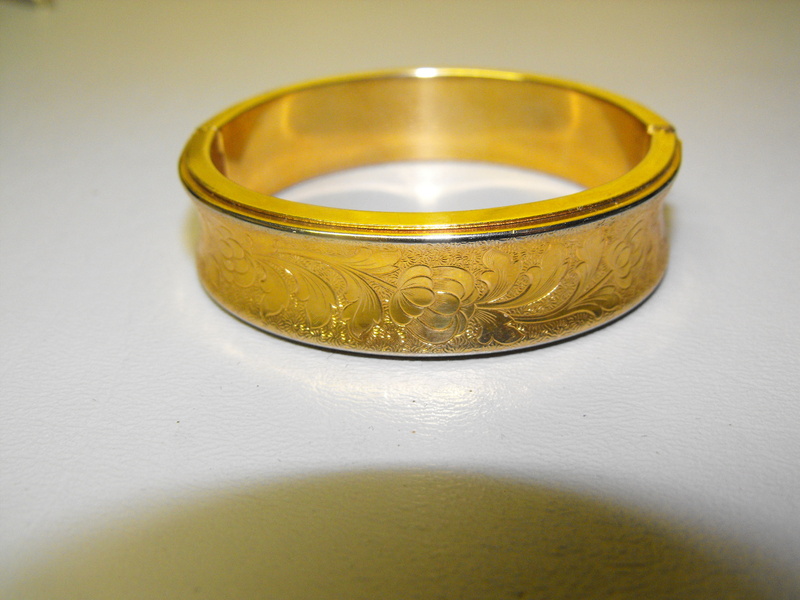 Today’s subject……bangles…..of the antique gold filled variety. We have purchased several worthy of presenting here. 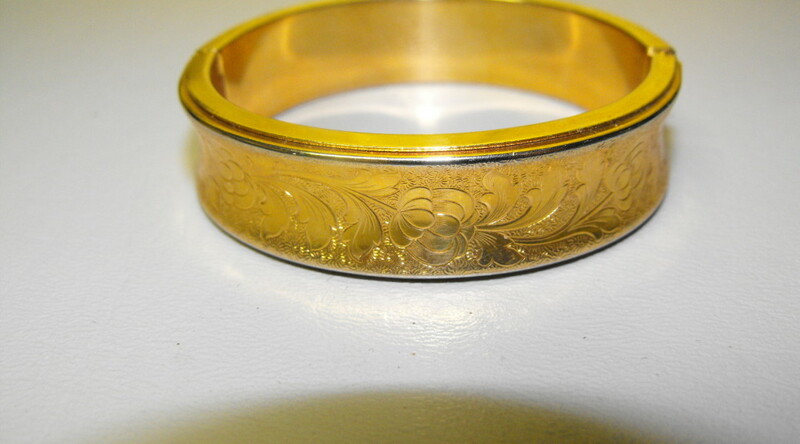 The first one is a convex curve with a floral design all the way around the bangle. 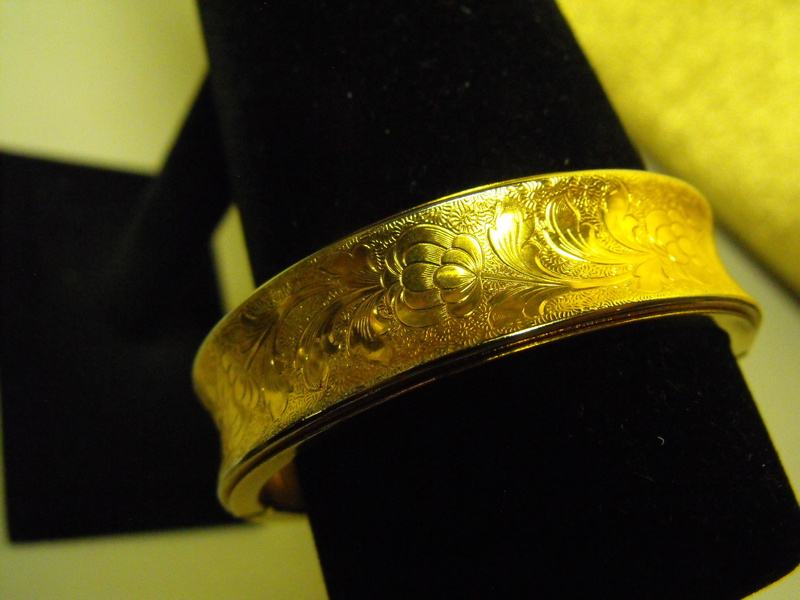 This antique bangle tests out at 1/20th 12kt GF with a tongue and slot clasp. 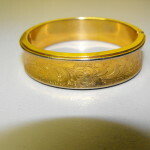 The bangle measures 1/2″ wide and the inside diameter is about 2″ wide. The bangle opens up wide for ease of wearing. 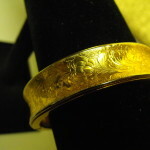 The condition of this antique bangle is excellent with no dents. This is a practical, inexpensive go anywhere with anything statement bracelet.